Mangaluru, May 26, 2015: Kendriya Vidyalaya No. I, Panambur, Kendriya Vidyalaya No. II, Yekkur, Mount Carmel Central School, Mary Hill and Lourdes Central School, Bejai in the city have recorded cent per cent results in the CBSE Class 12 examinations. The results were declared on Monday. Of them, Mount Carmel Central School has both science and commerce streams and the remaining three schools have only science stream. Of 76 students who appeared for the examinations in KV-I, Panambur all passed with Rithwik S.V. emerging as top scorer with 480 marks (96 per cent). Mr. Rithwik told The Hindu that his first preference is to join the Indian Institute of Science Education and Research, Pune, and his favourite subjects are physics and mathematics. 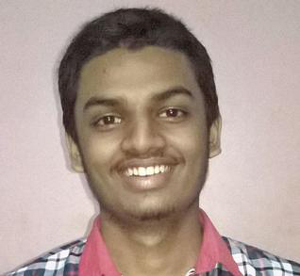 Benitto Pavithran of the same school scored 477 marks (95.7 per cent). Of 27 students who appeared for the examinations in KV –II all have passed. Haleemath Afrah with 474 marks (94.8 per cent) was the top scorer. In Mount Carmel Central School, all 19 students who appeared for the examinations have passed. Vernette Tresanne Rodrigues tops the science stream with 93.6 per cent and Abeer Althaf Noorulla with 89 per cent in commerce stream. In Lourdes Central School all 73 students have passed. Of the top scorers of the school Vilas M. (97.4 per cent) scored 100 marks in mathematics, Abhijith Kamath (96 per cent) scored 100 marks in physics. Leon Fernandes and Ashika Nayak scored 96.8 per cent each and Deeksha Pai S 96.2 per cent marks.